School has hit full force at this point. However, going from doing nothing academic, besides reading, to spending hours working has not been an easy transition. Therefore, I still can’t manage a post about classes yet; I am passionate about what I am learning this year, though, which makes going to class a lot less painful. But in my spare time, I have indulged in some of Bethlehem’s hidden treats. Nestled in North Bethlehem is Vegan Treats, an all vegan and mostly gluten free dessert shop. (Perfect for me since I’m sensitive to dairy and gluten)! Each week they have different fro-yo flavors (soy-based) and tons of little cakes. There is absolutely nothing better than heading there with a couple of friends to get away from campus for half an hour and indulging. College is hard and college is stressful but ice cream makes everything better. 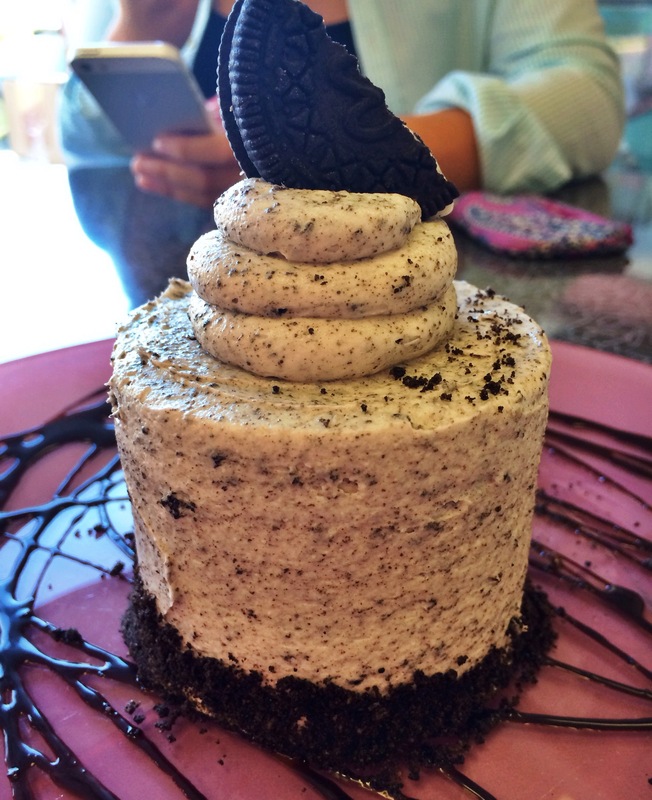 My friend, Erin, took a picture of her cake at Vegan the other day and it was too cute not to share!